Bali has many warnings that must be followed by anyone. Warning in Bali there are everywhere, even, in the popular tourist attraction though. This warning diverse nature, there are logical, some are not logical. Warning in Bali must be followed by anyone. Tourists and local residents are required to adhere to all warnings in Bali. Because all the warnings have the goal of keeping people safe and sound without being exposed to disasters and calamities bad. The warning does not aim to plunge a person to a poor unfortunate who can hurt someone. If it does exist, the possibility is a lie. 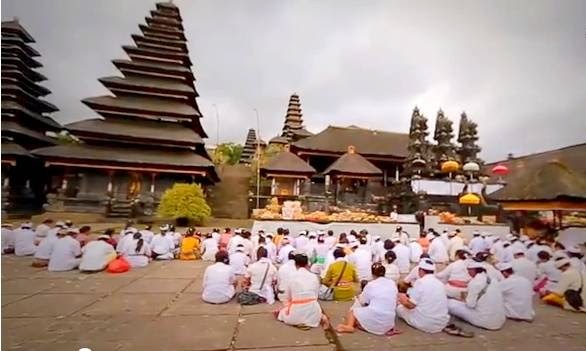 One warning that most concern foreign tourists who want to visit Bali is a travel warning. Traver warning issued by a state to citizens who want to travel abroad, the country received a warning of an event. Travel warning aims to avoid the bad things that can happen to a tourist who will be traveling to a country. Travel warning to Bali by several countries that have very good intelligence system, usually issued when there are issues and events gripping and emergency. In cases of this happening Bali bombing in Kuta, which resulted in a lot of foreign tourists be dead. Travel warning was issued by many countries to their citizens not to visit Bali, to pull back the travel warning, and Bali is considered safe. Warning in Bali is not only a travel warning, as well as various types of warnings are local. Temple and the beach is a place that has a lot of warnings and appeals. The goal is the majority urged tourists to stay away from places that are considered dangerous, and so that the tourists do not do things that are prohibited. Warning on the beach usually addressed to the tourists who want to play on the beach air.Peringatan normally issued when there is a large ocean waves, ocean currents are very strong, as well as a variety of things that can be rendered berbaha and lead to accidents. The memorial temple in Bali nature is an appeal and prohibition. Appeal to the tourists to behave decently and maintaining the sanctity of the temple, dressed decently, said good. Warning that have any kind of ban on temple was not allowed to enter the temple area if a woman is in a state of menstruation, should not pee in the temple area, should not be nasty in the temple area, and so forth. Bali warning can also be issued by the local government to its citizens and must be obeyed by the foreign tourists. Usually the warning was issued just before a celebration, a party, a natural disaster, the rainy season in Bali, and so on. A few days ago, US and Australian government issued a travel warning to its citizens who want to visit Indonesia. Indonesian Foreign Ministry commented on the travel warning from the United States and the Australian Government against its citizens in Surabaya, East Java, about the threat of terrorist attacks. Parties to the Indonesian Foreign Ministry admitted to communication with American and Australian Embassy related to it. Warning issued by the Government of the United States and Australia is not really a travel warning or prohibition which indicates a serious danger. However, the warning is just a travel advice or a reminder to citizens to be more attention to safety aspects.